It's Waffleween! 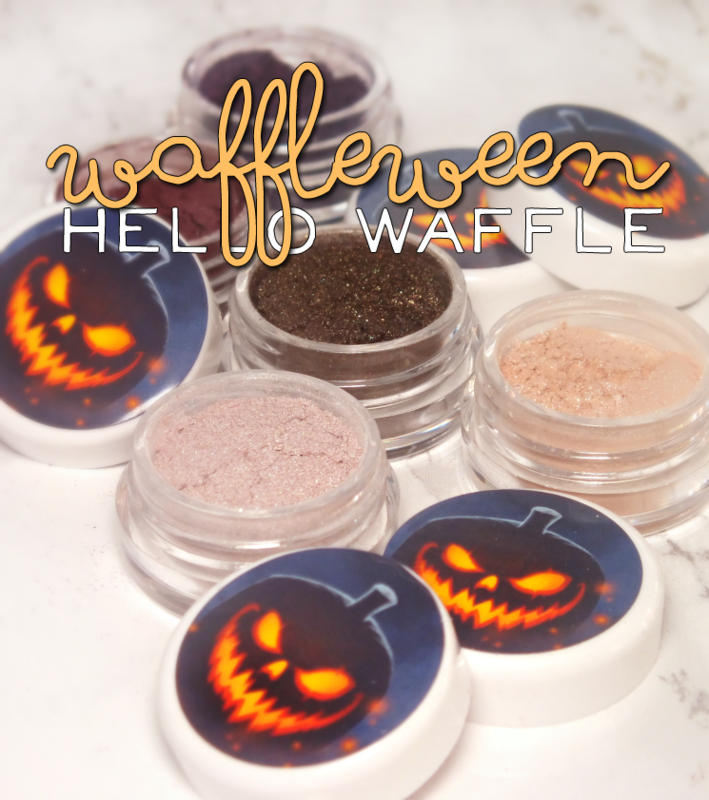 Okay, not quite, but I do have the eyeshadow portion of the Hello Waffle Waffleween Collection. 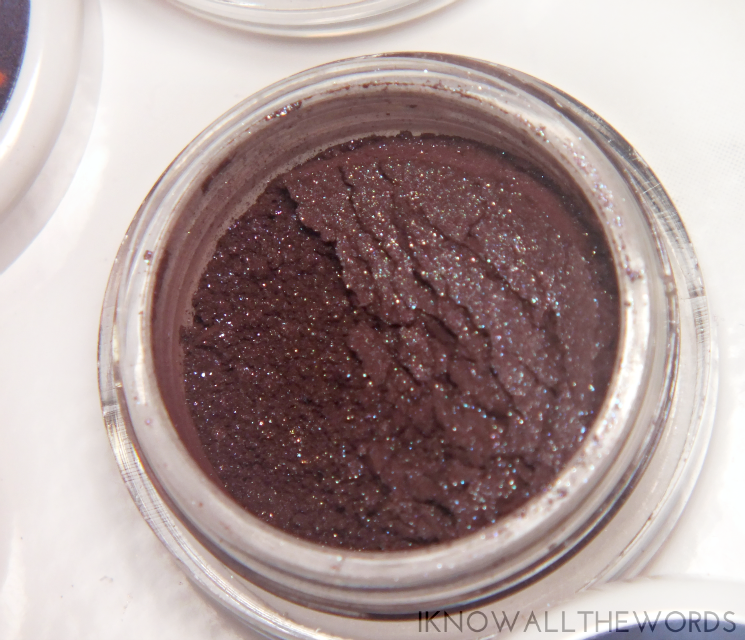 The shadows sold out ridiculously quick, and are not currently on the Hello Waffle website. 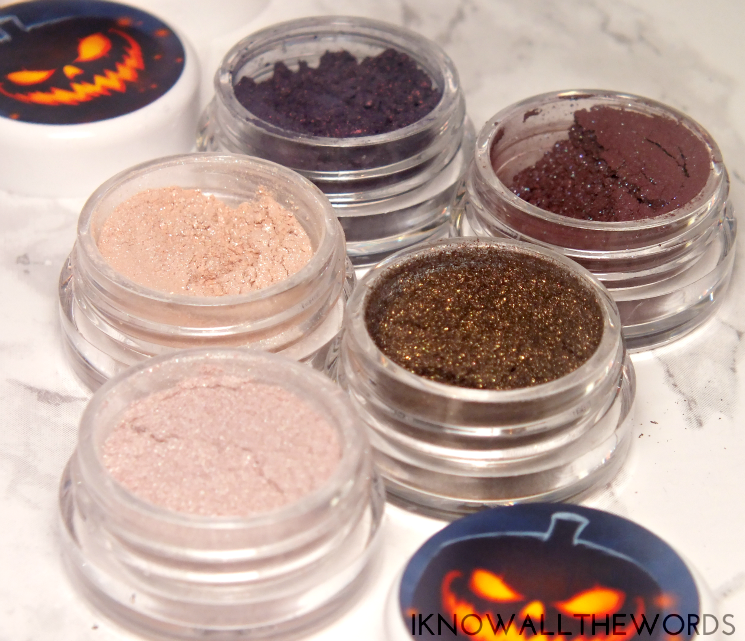 I'm not sure if they're going to be re-stocked, but I just had to share these gorgeous shadows. Read on for a look! 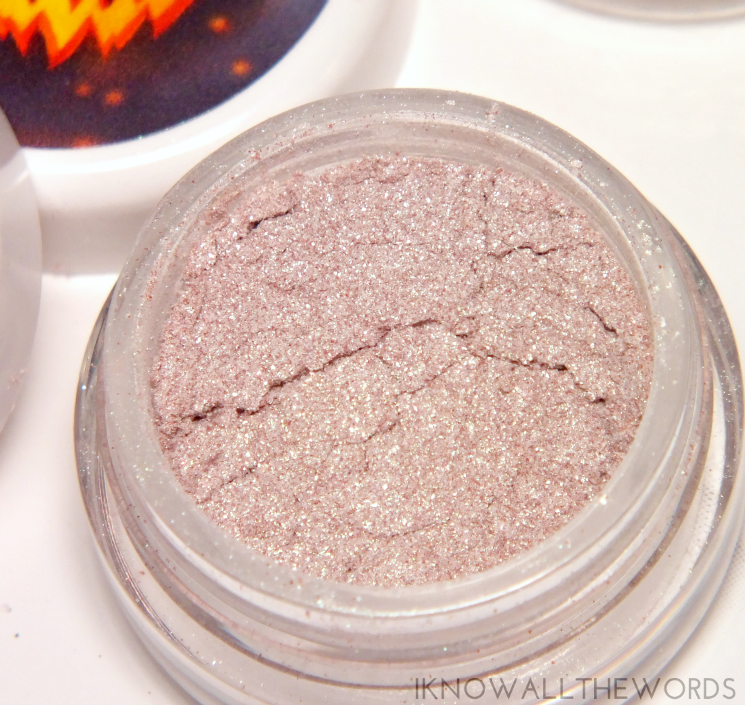 Static is a pale, pinky-beige shadow with iridescent and silver shimmer. Burlap Sack is a pale, peachy-beige with soft gold shimmer. 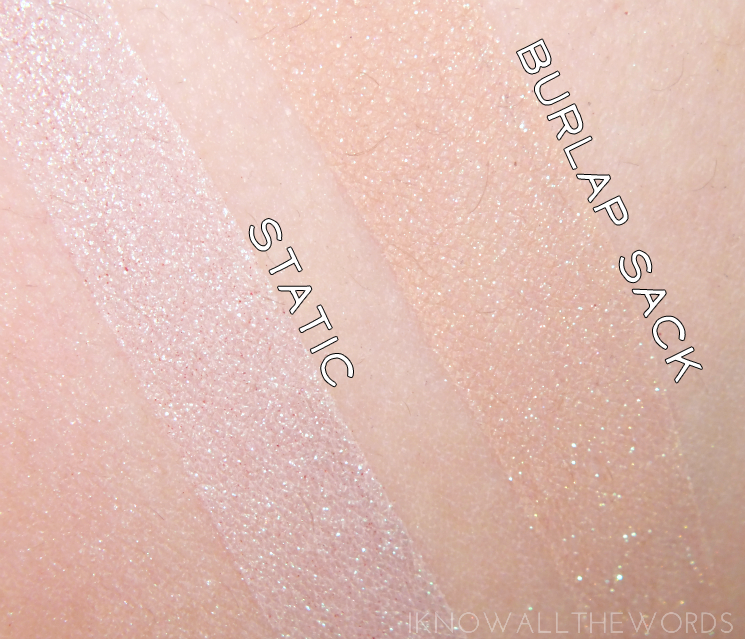 These shades definitely need to bee seen in person to fully appreciate the fairy-like shimmer and dimension they have. 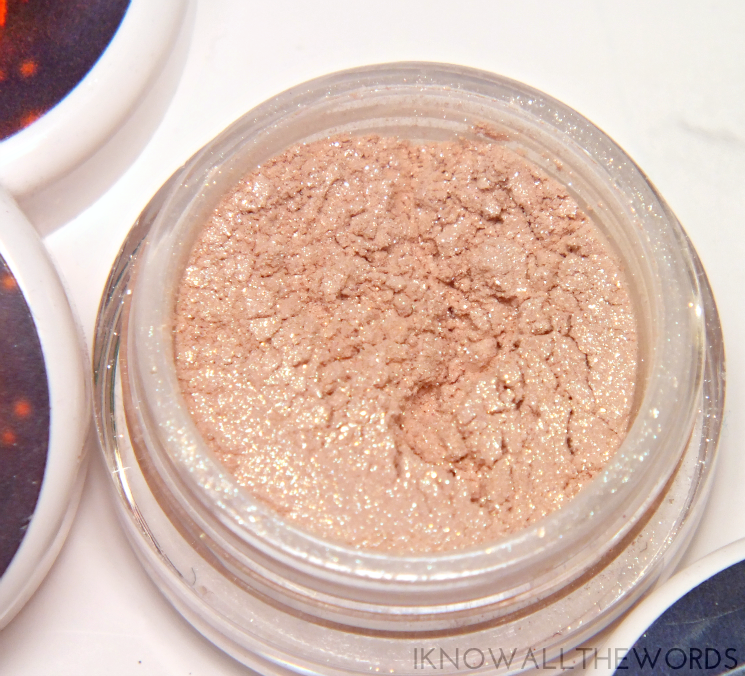 There is a bit of sheerness, but they give a nice wash over the lids, and work very nicely as highlight shades. The Waltz is a red-brown plum (raisin-ish actually) with multi-coloured shimmer that flares gold, blue, and purple. Photo-Negative is adeep, blue-baed violet with red-gold shimmer. 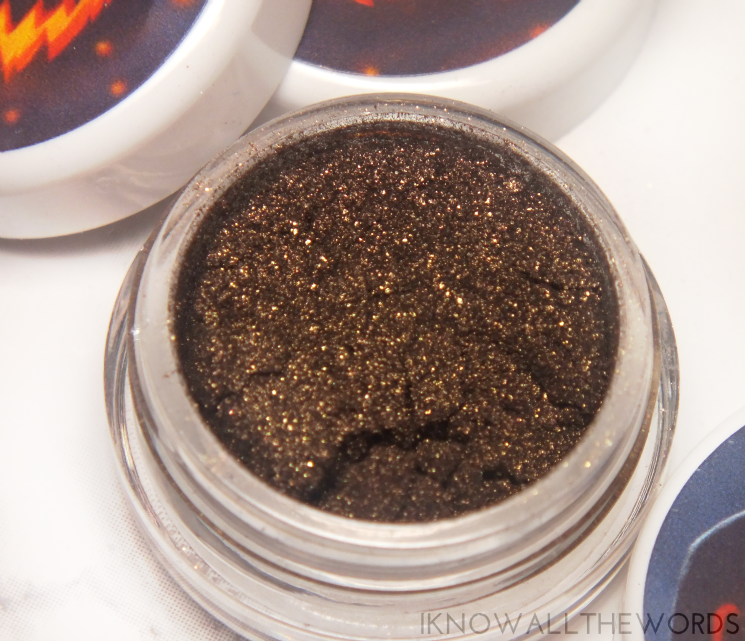 Both of these shades pack a punch with fantastic pigmentation and depth. I find loose shadows to be messy overall, and did experience shimmer fall out with these shades (more so with Photo-Negative) but the shades are unique enough to warrant a bit of clean up. Shapeshifter is a golden-bronze with a bit of an antique gold green shift and a metallic like finish. There really isn't much to say, as this shade is straight up perfection! Sloth is a dirty gold with a slight olive green shift (which was camera shy.) 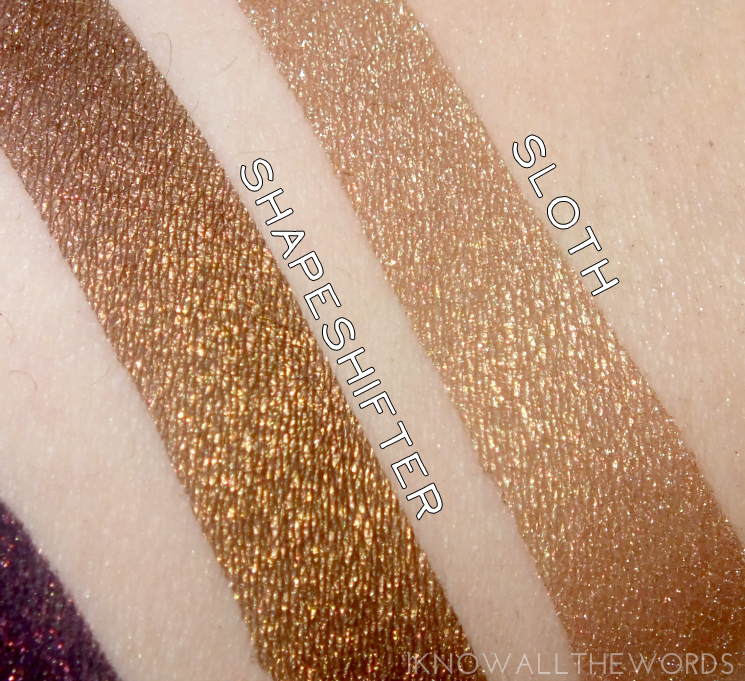 Sloth is a permanent shade (not part of the Waffleween Collection) in the Hello Waffle catalogue, and came as a sample in my order. Who doesn't love a bonus shadow? Overall, I'm very much a fan of the Waffleween Collection. Although I'm not really a fan of the mess that comes with loose shadows, these shades are worth it in my opinion. The uniqueness of the shades and pigmentation (all swatches are on bare skin, btw) are worth the bit of extra mess. I've found a thicker or slightly tacky primer helps minimize fallout. 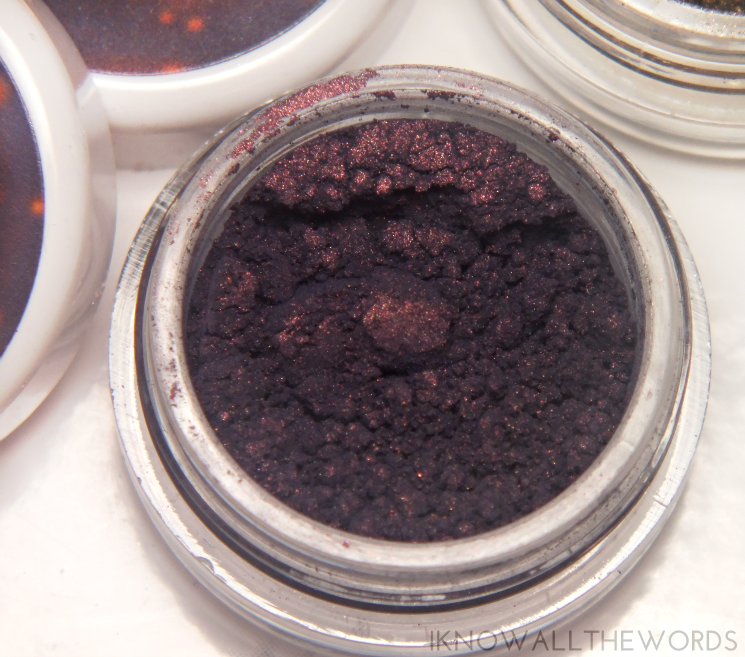 As mentioned, the shadows have sold out, and I'm unsure if a re-stock will happen. The Waffleween Collection also includes a selection of marshmallow flavoured lipsticks (see them here) should you want to get in on the Waffleween action. I should note, Hello Waffle products are cruelty free and handmade here, in the great white north (aka Canada) or Quebec, if you want specifics. What do you think of these shades? Are you a loose shadow fan? Have you tried anything from Hello Waffle?